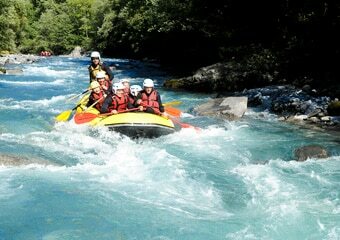 Enjoy our great adventure sports activities in the summer sun! 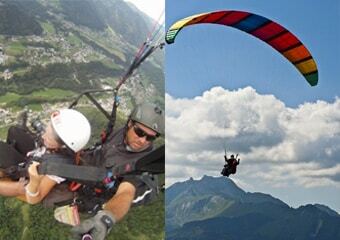 If you are looking for somewhere to study French in the summer, then have a look at the French Alps. Many people only think about the Alps as a skiing destination and don’t realise that it is an amazing summer destination too! With stunning scenery, beautiful sunny days, lakeside beaches and more activities than you will have time to do, it is a great destination. Wake up in fresh mountain air to bright blue skies and stunning mountain peaks as your view. Enjoy breakfast with your host family or with other students and teachers or grab a fresh croissant from the boulangerie. 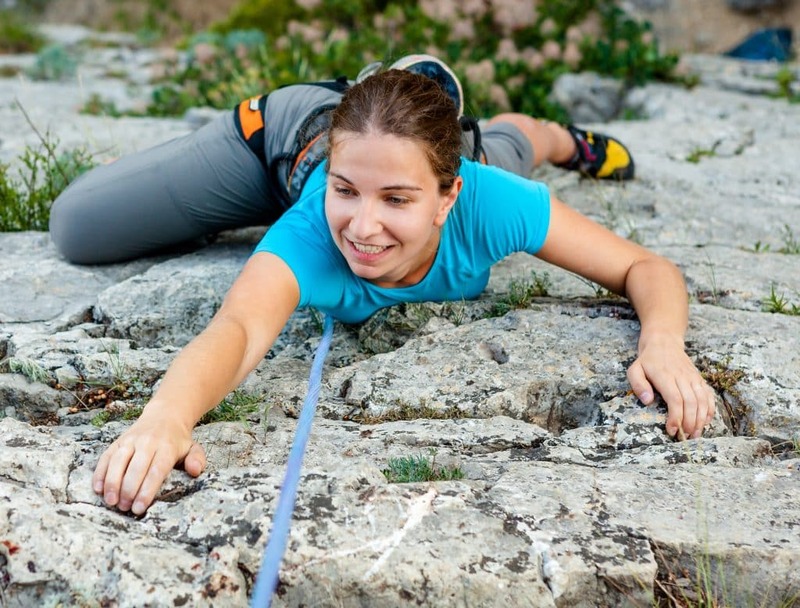 We can help you organise most of the above activities, all of which are run by French guides so you get to practise your French outside of the classroom, enjoy and explore the mountains and try out some new sports! And if that all sounds like too much hard work, there are spas, lakeside beaches, pavement cafés and lovely shops! 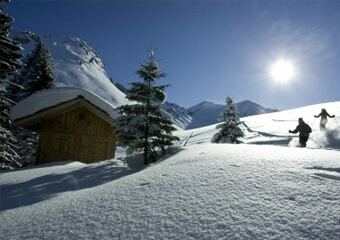 It is easy to while away your days just pottering around Morzine and relaxing. Our French Intensive Courses start at 9h in the summer months to give you time for activities in the afternoons after a morning of studying! You will take 3 hours of French classes every morning with a short coffee break mid-morning! 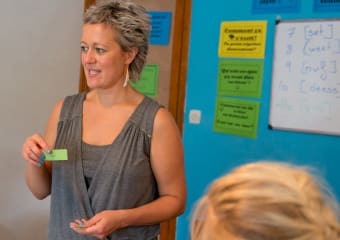 Your French course will be taught by a French-speaker who is a qualified and experienced teacher. We carefully select all of our teachers not only for their teaching ability but also for their personalities. All of our teaching team know how to keep lessons interesting and engaging which is vital for good learning! Students learn through conversation, they practice the vocabulary and grammatical structures they study during the week by lots of speaking and listening. 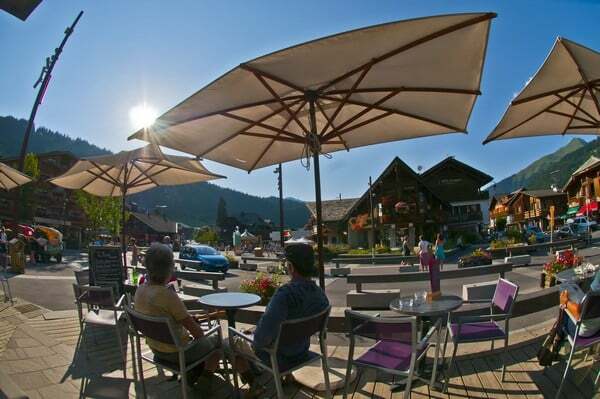 Later in the day, you may want to sample one of Morzine’s many cafés or wine bars for an “apéro” in the evening sun to practice what you have been learning in your French course with your fellow students. 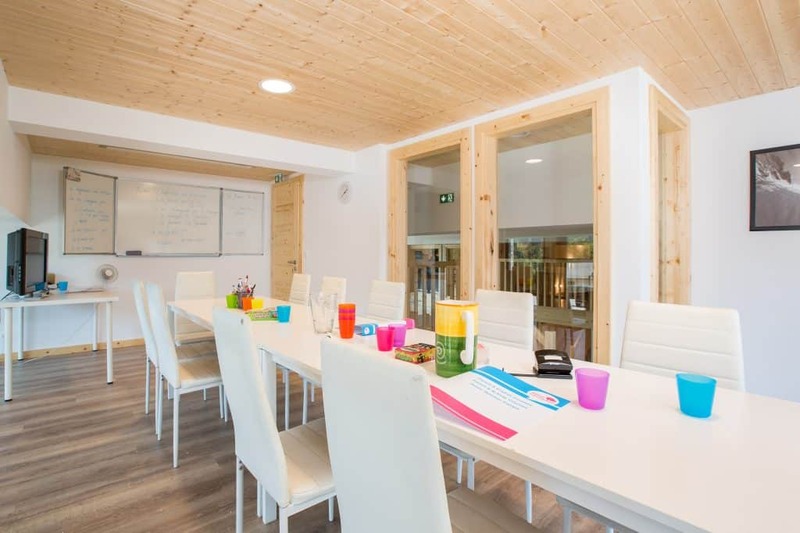 Then head back to your accommodation to enjoy dinner with your housemates or host family, or sample a local speciality such as fondue or tartiflette in one of Morzine’s many restaurants. 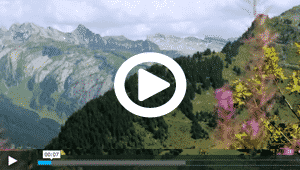 Then if you have energy left, you could head out for a drink or enjoy one of Morzine’s many summer concerts or fireworks display before falling into bed ready for your next exciting day enjoying Morzine. 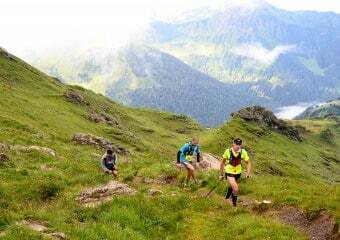 Why Alpine French School ? 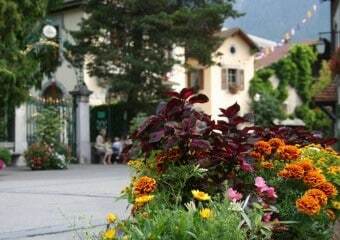 Our school is in the heart of the beautiful French Alpine town of Morzine. 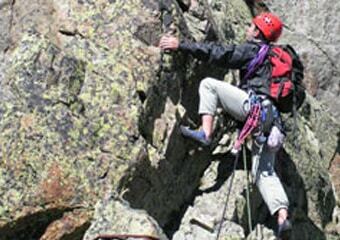 Enjoy skiing and snowboarding literally on your doorstep in the winter, or a range of summer adventure activities such as mountain biking, hiking, climbing and much more in the summer. 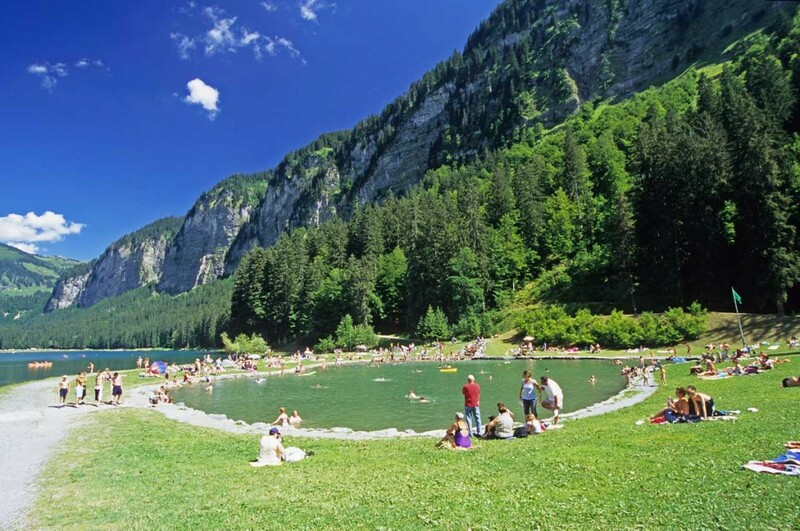 If that’s all a little too adventurous with you, relax and rejuvenate in the Alpine air, chill out at the turquoise swimming lakes or in a pavement café. When you arrive at Alpine French School, you will instantly feel at home. With our informal, friendly atmosphere, we really care about our students, their progression and enjoyment. We do everything we can during your time with us to develop your communication skills, provide an ideal learning environment and keep an eye on your well-being and happiness. 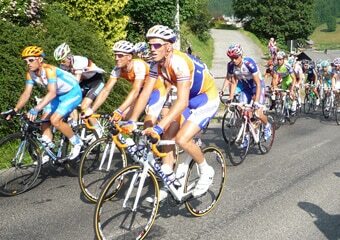 Our maximum group size for an Intensive French Course is 10 students but our average is 6. What this small group interaction means is that you’ll get personalised attention from the teacher, making your learning more effective so basically you will improve more quickly. Our school is located 5 minutes walk away from the centre of town. Enjoy our bright classrooms, friendly reception, multi-media centre and student lounge. Our free WIFI means you can read your emails and surf for free on one of the in-house computers or on your phone or ipad. 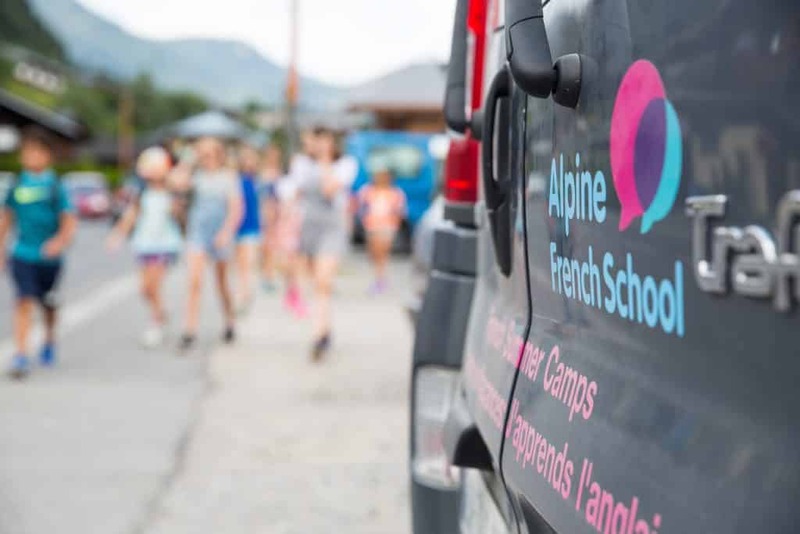 At Alpine French School, our dynamic management team come from a variety of educational backgrounds and our considerable combined experience makes our school unique. We combine the best from international teaching methods and ideologies with the enthusiasm and innovation offered by our teachers to offer a truly enriching and memorable experience. You could find yourself in a group in your Intensive French Course with a Brazilian law student, an Australian ambassador, a financial consultant working in Geneva, an oil worker from Africa, a writer from the UK, a professional triathlete or an Olympic snowboarder! Our students come from varied nationalities and backgrounds to make our classes a very interesting place to learn! 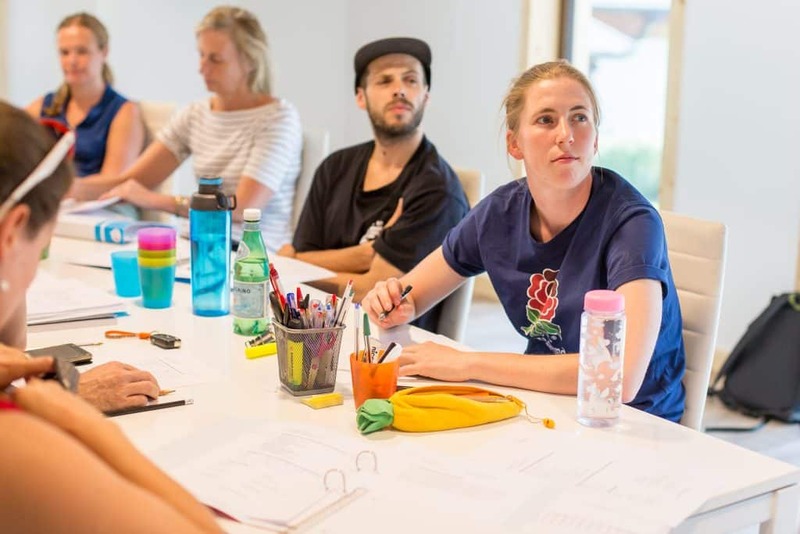 The one thing they all have in common is wanting to improve their French in a friendly, welcoming atmosphere and to get an insight into the French language and culture. All courses include a 15-minute break. You will go through a variety of linguistic activities during your time at Alpine French School so that you approach French from all different perspectives and in varied situations from conversational activities, pronunciation exercises, games, quizzes, songs, discussions, comedy sketches, commenting on authentic videos, role-playing in everyday situations so that at the end of the course, you will be readily understood in everyday situations. By speaking French in a friendly school environment and with our partner shops, bars and restaurants, you can practise talking in French in many different situations and this is the key to progression ! Reading, writing and grammar are also developed as the foundations of the language but the focus in lesson time is on oral communication. Our pedagogical team and all of the Alpine French School staff are always on hand to answer any questions you may have. At the end of your Intensive French course with us, you will receive a certificate. After the first 3-6 hours of your course, you will receive a mini-feedback questionnaire to complete to ensure you are happy. 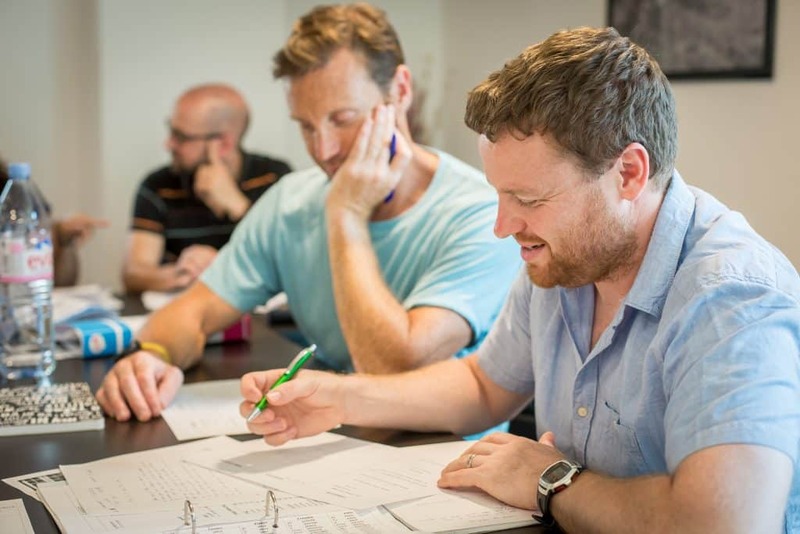 The programme of each Intensive French course is tailor-made to the needs of the individual classes and is relevant to their level and objectives. The lessons are all interactive to provide plenty of interactive conversational activities which focus on speaking and listening skills. Our teachers enjoy keeping up to date with all the latest ideas in education and are constantly developing new fun yet educational lessons to ensure that students progress as much as possible while being motivated and enjoying their lessons with Alpine French School. If you would like to book or receive more information about our Intensive French Courses, or if you have any questions, please email us via our booking form. We evaluate all of our students before enrolling them on a course to ensure that everyone is placed in a group at a suitable level. We also like to discuss students’ objectives to ensure that everyone is placed on a course that suits their aims in French language learning. Receive a personalised folder with handouts specific to your course. All of our prices include free unlimited access to our online multimedia centre for the duration of your course. For complete beginners, we offer a private intensive course of 5 x 1-hour private lessons until the level is reached to join a full beginner intensive course. Please contact us for more information. You learn the basics such as counting, spelling and saying ‘I am English, they are at the bakery, we have 2 children, I like running, we don’t like cheese..
You learn how to use most verbs in the present and start looking at how to speak in the past. You practice more subtle tenses which enable you to be more precise when talking about your life and also practice the intricacies of French language.